Ingolstadt to support Audi in developing flying car "Air Taxi"
Awhile back, we spoke about how Audi was working together with Italdesign and Airbus to create a sort of “Air Taxi”, which would basically be a flying taxi drone. It’s called Pop.Up Next and it essentially combines a fully self-driving passenger car that then becomes a flying drone, so as to be able to shuttle passenger by both land and air. Now, though, the three brands have the support from the city of Ingolstadt and the German government to begin testing such a thing. “Connected, electric and autonomous cars will make urban traffic more comfortable and cleaner and will save space – that means better quality of life for people in cities. This is where mobility in the third dimension can make a valuable contribution in the future,” said Bram Schot, Interim CEO of Audi and Member of the Board of Management. “We welcome the involvement of the city of Ingolstadt and support the development of the region as a test field for air taxis,” Schot continued. Schot, along with Federal Minister of Transport Andreas Scheuer, Minister of State for Digital Affairs Dorothee Bär, Airbus CTO Grazia Vittadini, Mayor of Ingolstadt Dr. Christian Lösel and other representatives of politics and business, recently announced the start of this “Urban Air Mobility” project. A letter of intent was singed among the aforementioned people and the Federal Chancellery in Berlin on Wednesday afternoon. It’s a fascinating idea, this Pop.Up Next flying taxi, but we’re skeptical that it will ever actually amount to anything real. 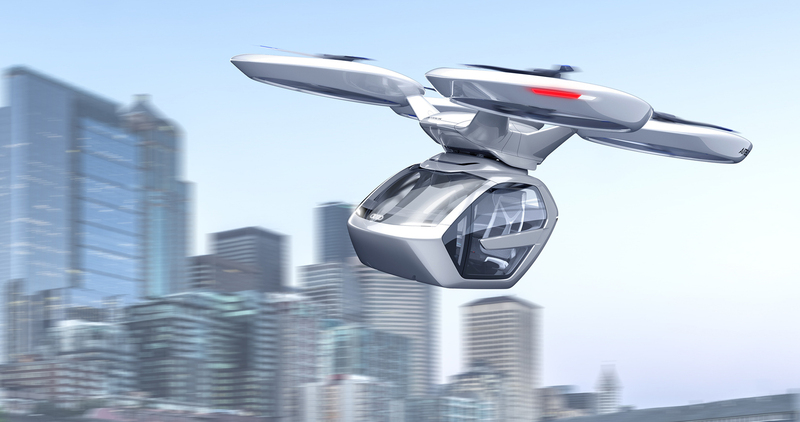 The logistics of creating a flying taxi and making it work in our current infrastructure seems like an impossible task. Though, if it’s ever going to be done, it’s going to require multiple companies and government working together. And Audi seems to have that. So we’ll see what happens. It’s all very exciting and interesting. Audi e-tron launch delayed after "Organizational Issues"